 The Al-Maktoum College has eight speakers lined up for its eighth Open Lecture series that begins this month (October 2017). Started seven years ago, speakers from all over the world have accepted an invitation to deliver lectures on topics related to religion, Islam, Muslims and interfaith relations. The free lectures, which run through to June next year, form part of the College’s mission to establish a bridge between Muslim communities and societies and non-Muslim communities and countries. Professor Andrew Newman, Personal Chair of Islamic Studies and Persian at the University of Edinburgh, will deliver the first lecture in the new programme on Thursday, October 26 at 6 pm. His topic is “Safavid Architecture: Speaking to a Multi-constituency Polity in Pre-modern Iran” and will include a discussion on the relevance of the western-language field of Safavid studies in the current international political climate. Principal and Vice-Chancellor of the College, Professor Hossein Godazgar, said he was pleased many experts and distinguished scholars had accepted an invitation to come to talk in Dundee for the new series. “I always look forward to the Open Lectures as the talks are never less than enlightening and our audiences participate in interesting question and answer sessions as well. In addition to our Open Lectures, we will welcome in November, Professor Mario Aguilar, from the University of St Andrews, who will be discussing Interfaith Dialogue: Experience and Art on the opening day of our Building Bridges Symposium on November 16 – and, on the same date at the Symposium, Dr Joshua Ralston, of the University of Edinburgh, will speak on the topic, Bearing Witness: A Framework for Christian-Muslim Dialogue. February 1 – Rev. Andrew Ashdown. An exploration of Christian-Muslim relations in Syria, both prior to, and in the midst of, the current conflict. February 15 – Professor Mona Siddiqui OBE, University of Edinburgh. Rethinking Hospitality: from law to ethics. May 10 – Professor Tim Jacoby, University of Manchester. Islam and the Islamic State of Iraq and Syria: Evidence from its Magazine. 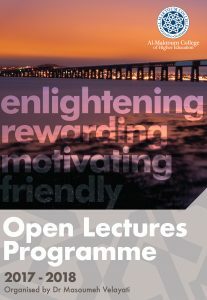 All our Open Lectures are free to attend and open to the public. However registration is required due to capacity. Refreshments will be available half an hour before the lecture and there will be socialising and networking afterwards. There is also a free car park available adjacent to the College.